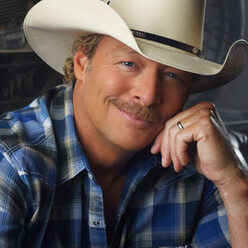 Alan Jackson has officially opened all four floors of AJ’s Good Time Bar, the first and only completely artist-owned establishment on Broadway in Nashville. Filled floor-to-ceiling with items from Jackson’s own collection of career and personal memorabilia, the honky-tonk offers visitors a unique experience, including a drink menu highlighted by “Alan’s Drink”—Jack and Water, the singer’s beverage of choice. Jackson is also a majority owner in ACME Feed & Seed, located just blocks away at 1st Avenue and Broadway. For more on AJ’s Good Time Bar, visit ajsgoodtimebar.com.